Haunting Mysteries: The Island of Lost Souls is sounds like another hidden object puzzle adventure game with a great mysterious tragedy from the past. And, of course, you are the obly one to deal with this whole mess. But isn't that what we are looking for here? 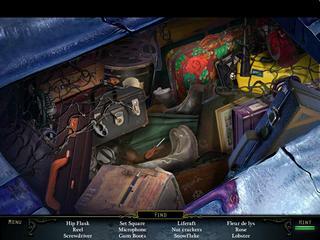 With the help from the ghosts you find your way out through many hidden object scenes and puzzles. For some unknown reason your plane crashes and you find yourself on an island. But don't expect that you are there to get some help to get out of there. You are there to help the inhabitants of the island and find out a love story of the past. 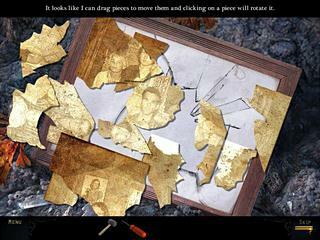 So with the help from the ghosts you find your way out through many hidden object scenes and puzzles. The audio-visual presentation is pretty decent. The graphics are done very well, and the voice overs create this Scottish atmosphere set by the story very well. The hidden object levels are a bit junky. And the hint system is not very strict even in the advanced mode. The puzzles are not too challenging either. There are some catchy moments too. Like there are these faces that appear and then disappear and then reappear later on the walls. They are the lost sould you are to help. The game is pretty relaxed for the more experienced gamers. It works as a great break from the dark creepy games this genre is full of. You might want to check the free version first to see if you want to chill out a bit or mayby it is not for you. This is Haunting Mysteries - The Island of Lost Souls review. Download this game here.